Enough of the snow for a bit....here are some latest of Jack. 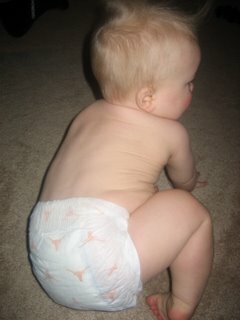 First, he is a Texas boy through and through....right down to his diapers. 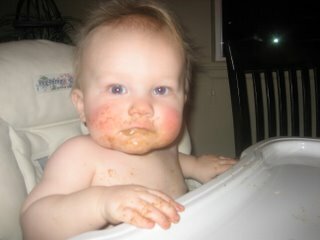 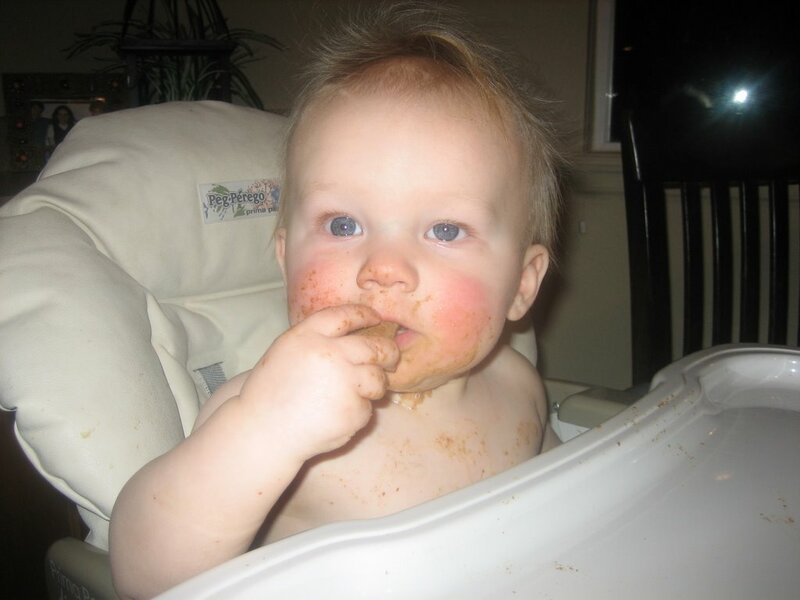 And, we're working on his table manners....there is room for improvement.